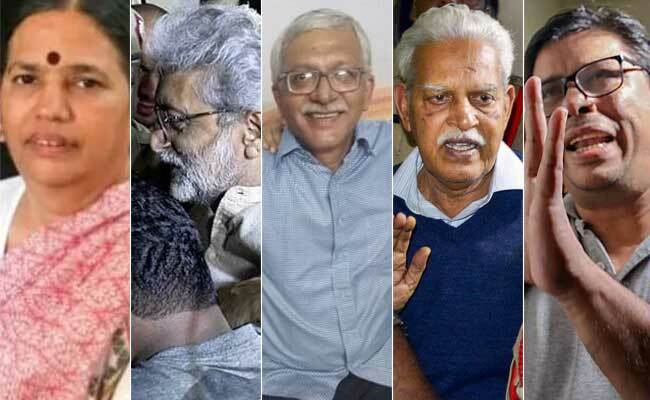 On September 28, the court rejected a plea for immediate release of the five rights activists - Varavara Rao, Arun Ferreira, Vernon Gonsalves, Sudha Bharadwaj and Gautam Navlakha - arrested by the Maharashtra police on August 28. The activists were arrested in connection with an FIR filed following a conclave - 'Elgaar Parishad. The Supreme Court has dismissed a plea filed by historian Romila Thapar seeking a review of the September 28 majority verdict by which the top court had refused immediate release of five rights activists held in connection with the Koregaon-Bhima violence case. A bench of Chief Justice Ranjan Gogoi and justices A M Khanwilkar and D Y Chandrachud dismissed the plea on Friday. The order, however, was uploaded on Saturday. "We have perused the review petition as well as the grounds in support thereof. In our opinion, no case for review of judgment dated September 28, 2018 is made out. The review petition is accordingly dismissed," the bench said. On September 28, the court said the accused will remain under house arrest for four more weeks. By a majority verdict of 2:1, it had also refused to appoint an SIT to probe their arrest.